Everyone knows the feeling of not knowing if the alarm clock has been set for the next morning before going to sleep. 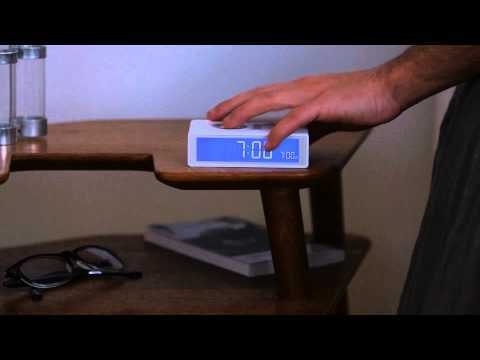 The LCD-alarm clock by Lexon puts an end to this feeling. The idea of the Flip is thereby as simple as revolutionary: The alarm clock is easily turned, in order to switch the alarm on and off. On the surface there are great letters that explain clearly what a mode is activated. When the alarm is set, the adjusted time will appear besides the real time. The shining LC display of the ABS plastic Flip ensures that the time is also easily recognizable in the darkest nights. 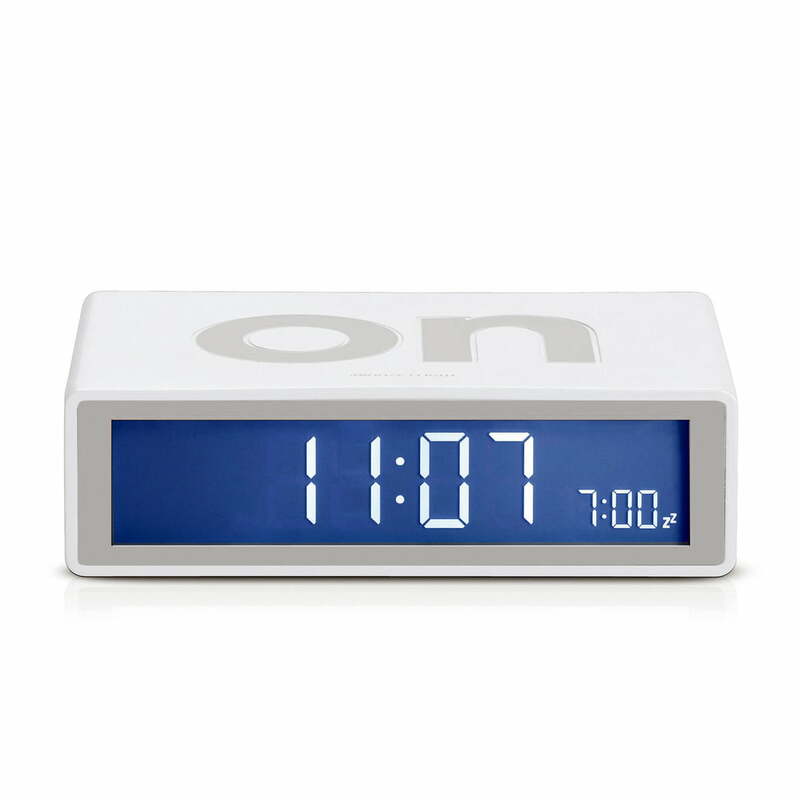 When the LCD alarm clock rings at an undesired time, the touch-sensor enables to simply switch it off and sleep a few minutes longer by means of the snooze function. With this alarm clock you have to take some action to activate or deactivate it. 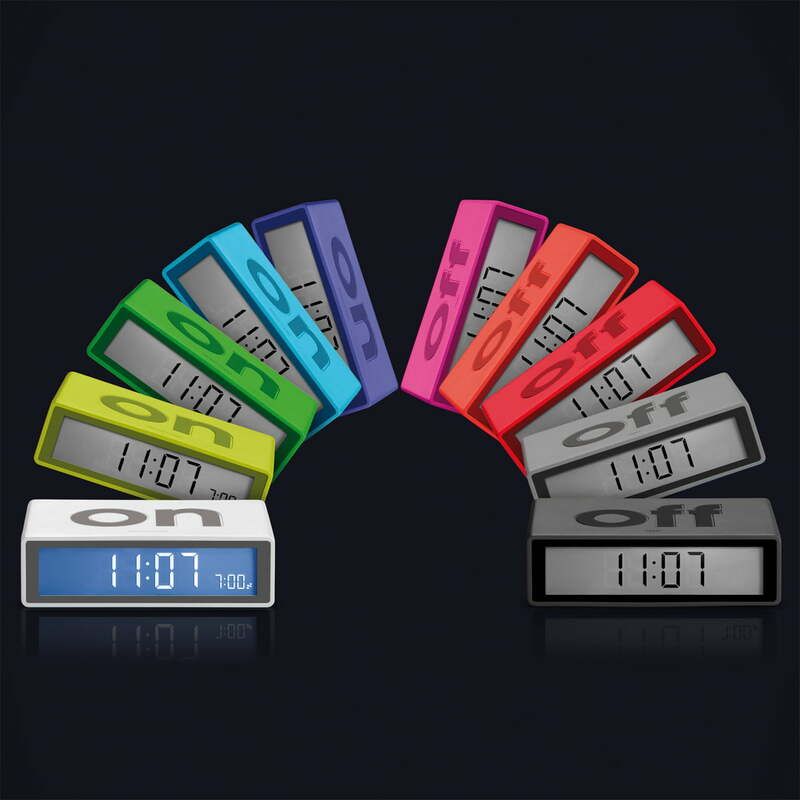 The flip clock by Lexon als adjusts the display of the time. See a detailed demonstration of the function in this short video.